When the temperatures start to sizzle, your lawn can fizzle. As the temperatures climb and stay hot, your grass can begin to look a little weary. The heat is definitely a possible culprit for a thinning or browning lawn, but there are a variety of things that can cause a once-lush lawn to look beaten down. Insects, drought, or soil compaction can also create a less-than-stellar lawn. During hot or dry conditions, warm and cool grasses protect themselves by going dormant. Think of it like animals hibernating in the winter. Animals hibernate because food is scarce. Grass goes dormant, when vital nutrients and water are scarce. Fortunately, rejuvenating your browning or thinning lawn isn’t a difficult process. A lawn care professional can diagnose and treat whatever is ailing your lawn. Here are a few steps to put some pep in your lawn that will last through the dog days of summer. One thing all luxurious lawns have in common is continual access to slow-release nutrients. The type of fertilizer, or nutrients, your lawn technician uses will depend somewhat on the type of grass in your yard. No matter the grass type, the technician will likely use a fertilizer that releases nutrients slowly. One quick jolt of nutrients may spark some greening, but if it’s to last all summer long, it’s important to keep them coming! A slow-release treatment should feed your lawn between visits from your lawn tech. Controlling weeds is a great way to ensure that enough nutrients and water are getting to your grass. Call it eliminating the competition. If your lawn technician notices that parts of your lawn have weeds, the technician will treat just one part of your yard or the whole thing. 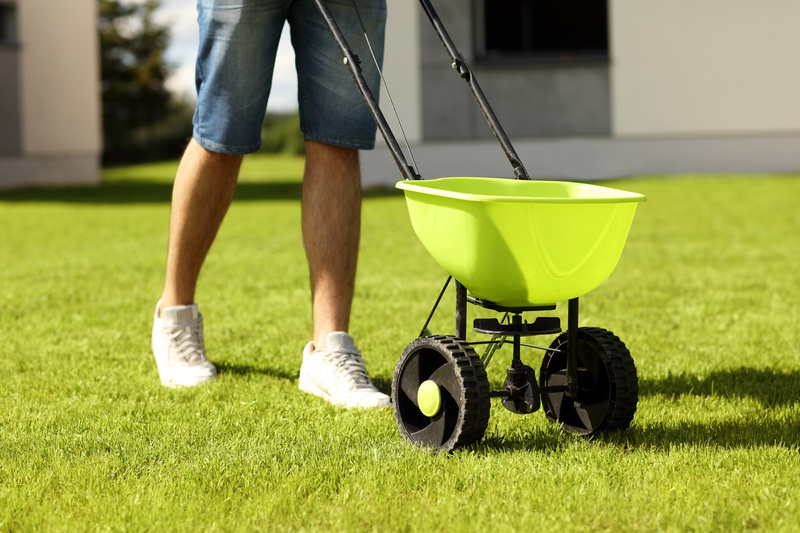 If your lawn was recently seeded, the pros know to skip this step! If your lawn is brown, a lack of water is very likely the culprit or at least a co-conspirator. Experts recommend watering enough so that your lawn receives at least 1 to 1 ½ inches of water per week. Homeowners can measure that by putting a cup in an irrigated area and watching as the water rises to the appropriate level. You can also use the screwdriver test. Ideally, you should be able to push a screwdriver 4 to 6 inches into the ground with moderate effort. 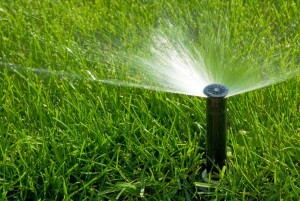 It’s important to wait at least 24 hours before watering your lawn if it was treated for weeds. Hot and dry conditions like Atlanta homeowners often see can wreak havoc on your lawn. The good news is that through a little effort and with the help of a professional lawn care provider, your lawn can be back to its healthy, carpet-like self in no time.